A boy looks his father's prosthetic foot. 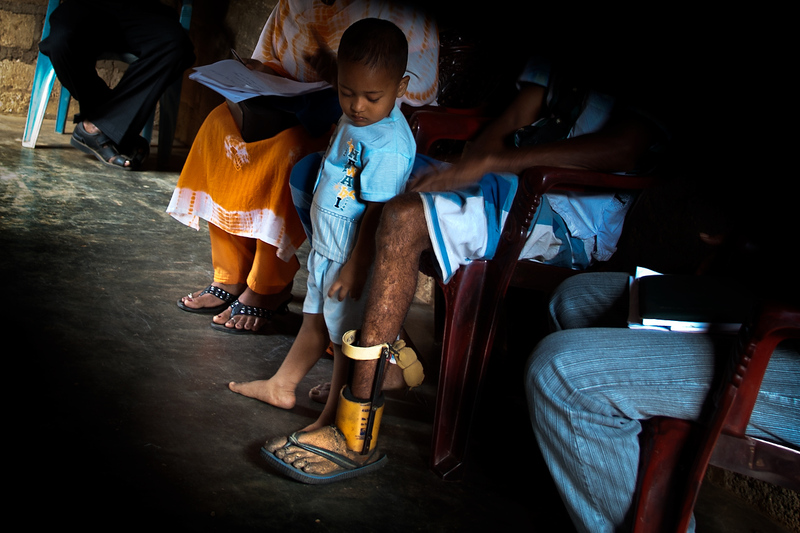 Mahmood is the land mine survivor and the Internally Displaced person from Sampur. He lost his foot while fetching firewood. It is estimated that more than 700,000 anti personel mines were planted by government forces and the LTTE in Sri Lanka.